I’m delighted that some of my work has been selected for another show , right up the street on La Brea, from where my painting Primavera is being shown at the Loft at Liz’s. The gods are being generous for which I am grateful. Couturier Gallery is please to present Kaleidoscope, a group exhibition combining emerging and established artists through a spectrum of disciplines. The show incorporates book art, ceramics, collage, paintings, printmaking and tape sculptures. The varied nature of the show creates complex connections between works that forge a rich mosaic of aesthetics, visual language and themes. Artists include: Sandow Birk, Fausto Fernandez, Leonard Greco, Gronk, Judithe Hernandez, Noel Vargas Hernandez, John Hesketh, Jay Kvapil, Nancy Goodman Lawrence, DeLoss McGraw, Antonio Muniz, Connie Rohman, Frank Romero, Irwin Sanchez, Danny Scheible, Ana Serrano, Susan Sironi, Corey Stein, Leslie Love Stone, John Valadez and James Zver. 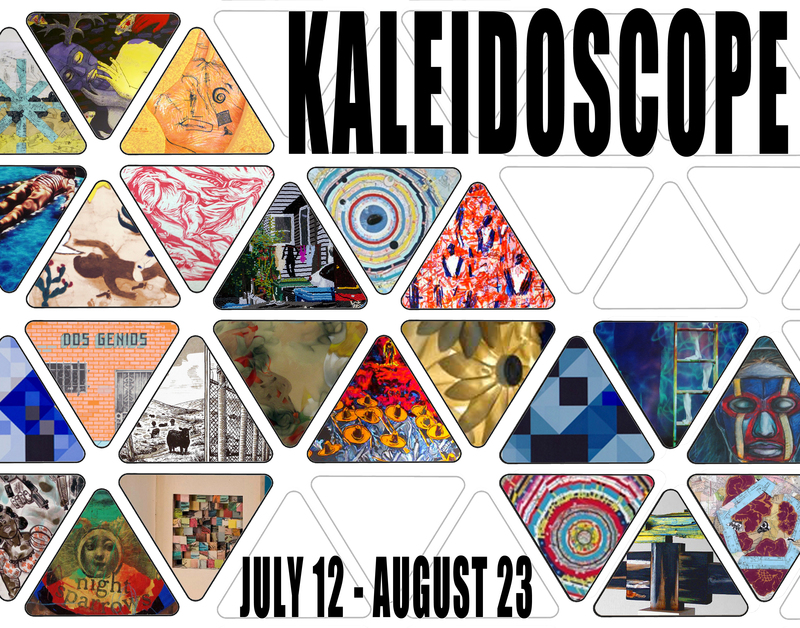 Kaleidoscope runs from July 12 to August 23. 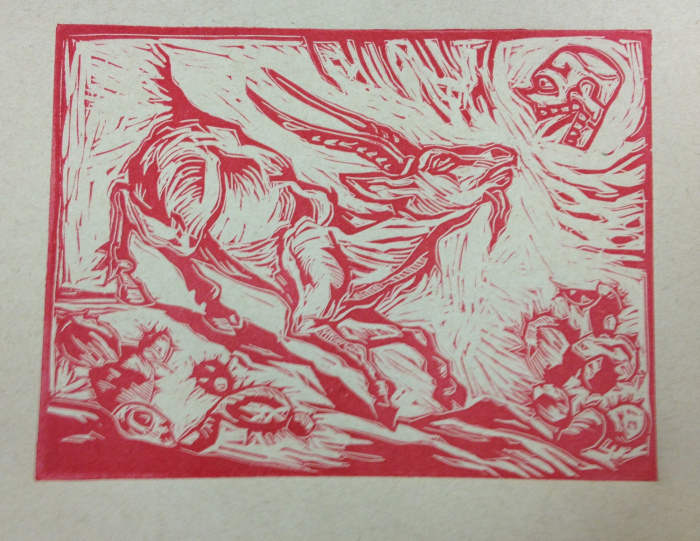 Join us for the artists’ opening reception Saturday, July 12, 6-8pm. For further information or images please contact me @ cg@couturiergallery.com. 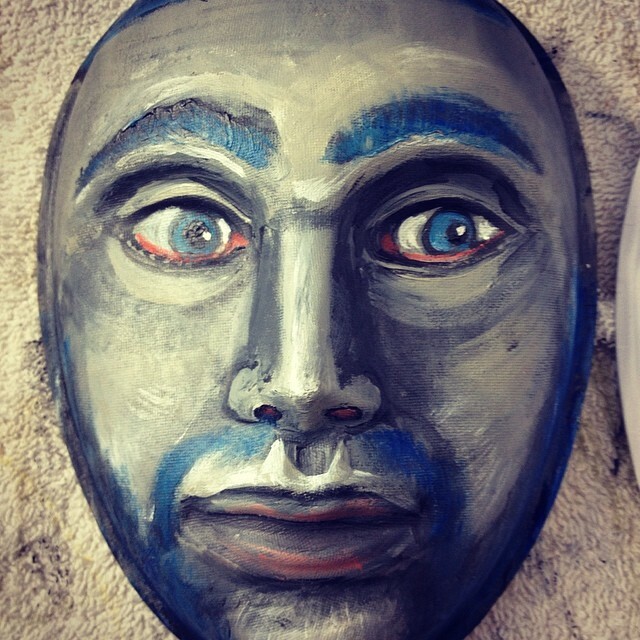 one of the three masks selected,The Hero Triplets. 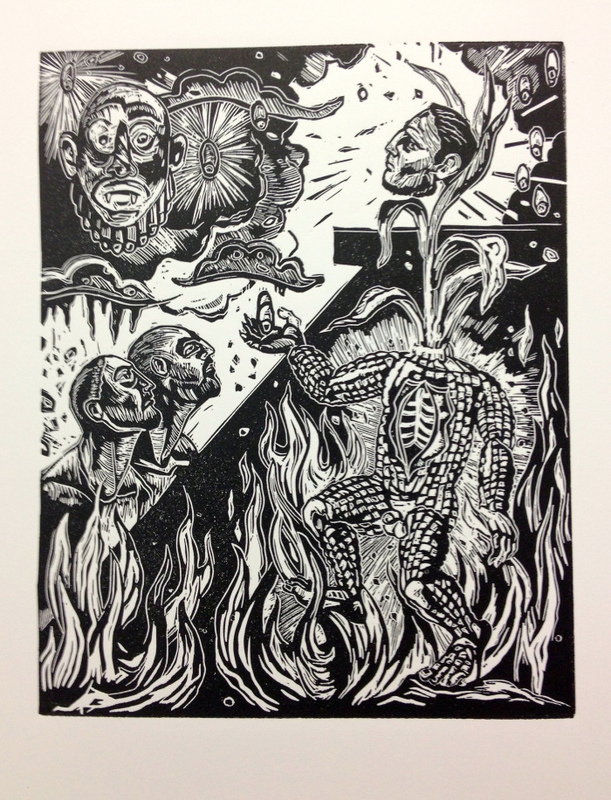 J, the wonderful fellow who runs Couturie Gallery selected several prints and some masks I have been making. I will be exhibiting alongside Judithe Hernandez , who I really admire, I feel very honored and intimidated. I need to drop the work off before my yoga class, so I better pack them up. That’s great, Leonard! I’m thrilled that you’re getting the exposure that you deserve. Best of luck! I knew you were submitting for the first show, but somehow had missed any announcement that your work had been accepted. (Sorry, It’s been a busy Summer!) And here you are announcing a second exhibition, and so double congrats are in order. I know how busy you have been, quite incredible, that said, i’m always pleased when you pop in. It is difficult to visit all of our favorites sites AND get work done! Be well friend.